Trust in advertisement is terrible. According to a study from Nielsen, 90% of OECD consumers said they trusted brand recommendations from friends or users they trusted online, while only 10% said they trusted messages from display advertising. 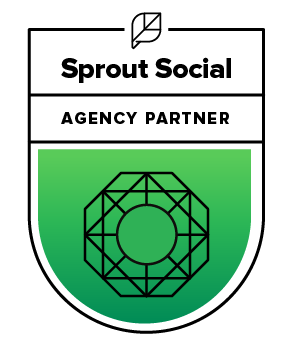 Fortunately, businesses are finally beginning to grasp that people don’t want to be sold to – 79% content marketers cited brand awareness as their goal of content marketing where as only 43% cited sales. Obviously, brand awareness is only a logical goal if your company has a brand identity. Make sure your company invests in creating and maintaining a brand identity. By helping customers instead of selling to them, you will gain their trust and loyalty. A loyal customer can be the best selling tool you have. If this is a problem you have been facing, you are in good company. 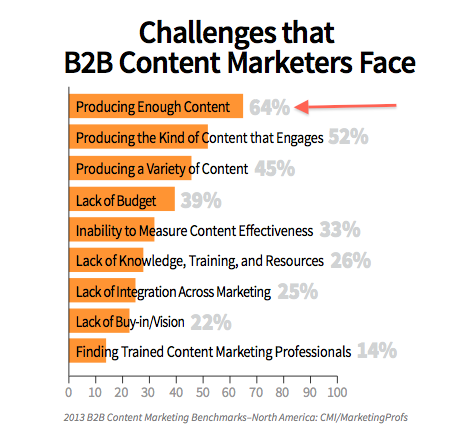 64% of B2B content marketers cite that creating enough content is their number one challenge, while 52% companies are also having a hard time making their content engaging. 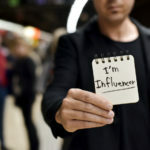 Create Twitter lists: Create a list on Twitter just for influencers in your industry. This will allow you to have easy access to what is trending and sharable information. 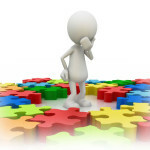 Reuse content: It may seem like cheating, but if it was successful once, it will likely be successful again. Take an old blog and market it as relating to a current topic. 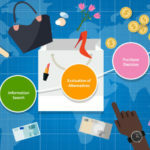 Pull together statistics from several old blogs and make an infographic. There is an endless amount of ways you can re-purpose content. Purchase an idea book: Lucky for you, the Allee team just put together an amazing collection of 1000+ content ideas. You will never struggle again. 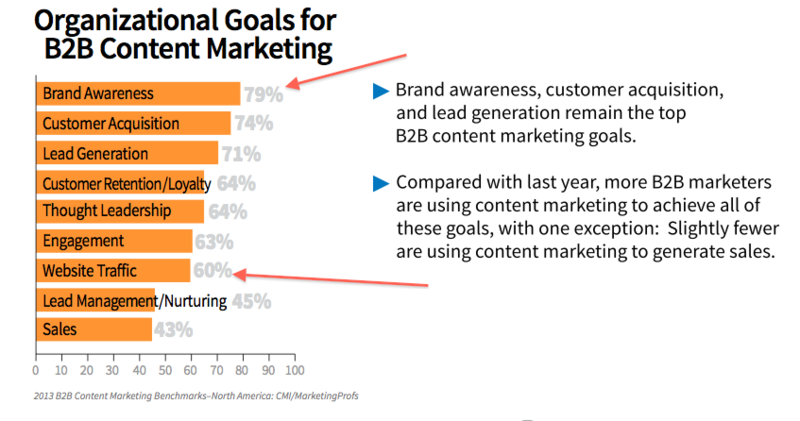 Turns out 56% of business are creating their own content in-house. 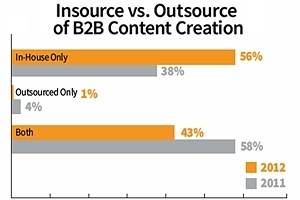 In many cases this is not an option; creating content is a demanding job, and thus 43% of companies reduce the stress by outsourcing some of their content creation. There is no right or wrong way to produce content, just a way that works best for your company; but if you are a part of the 64% who are struggling to make enough content, outsourcing could be the answer to your problem. Let’s just take a minute and celebrate this finding! Content marketers have been preaching about the importance of content marketing for years and the budget makers are finally listening. 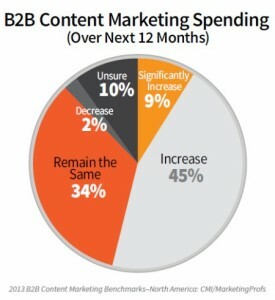 Over 50% of B2Bs planned to increase their content marketing budgets in 2013. Pass it on to the budget makers! 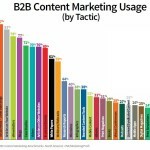 In addition to the persuasive facts above, another study done by Kapost & ELOQUA found that, per dollar, content management produces 3x more leads than search engine marketing. Make sure to tune in next week for part two of this series that will highlight what tactics content marketers are using (and how you can do the same).